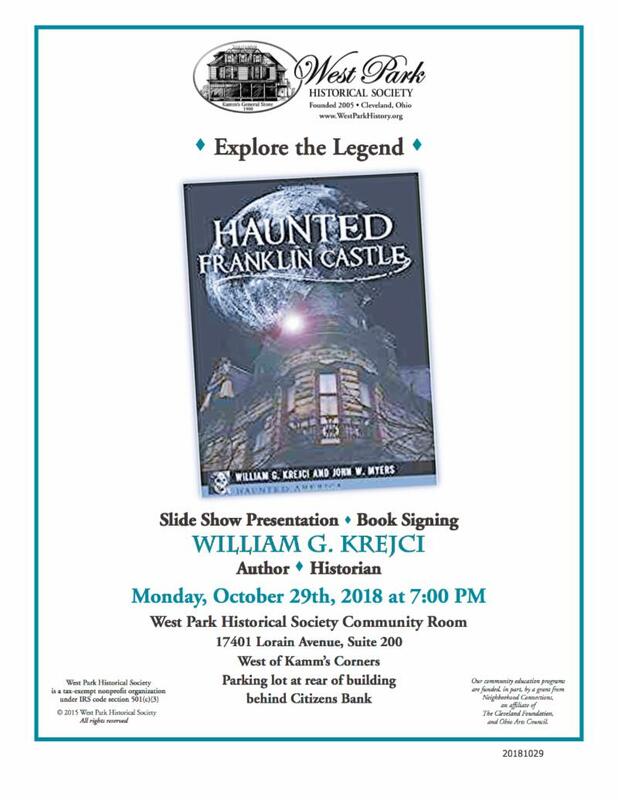 The West Park Historical Society invites you to attend our next free event. 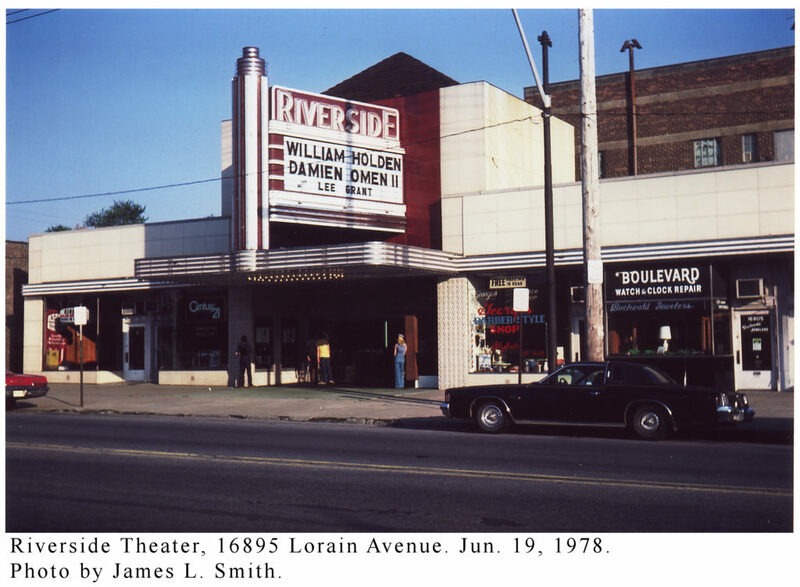 Author and historian Ralph Pfingsten will host a slide show recalling Cleveland area movie theaters, stretching from Avon Lake to Playhouse Square. Featured will be many photos from the lens of James Smith, who documented these theaters that we remember so fondly. Come and share your theater memories with us at the West Park Community room at 17401 Lorain Ave. Parking and entrance are behind the building. -For all inquiries regarding Community Room rental please contact Elaine Staley at 216-267-3857. -For all membership inquiries please contact Dar McGeady, Member Relations ~~~ wphs-news@earthlink.net, or call 216-476-8214. Please join us on Wednesday, December 5 at 7p to hear our West Park History author, Ralph Pfingsten, remind us of particular Christmas memories of our region. How many do you recall or share with your family to this day? Still don’t recognize the above Santa? 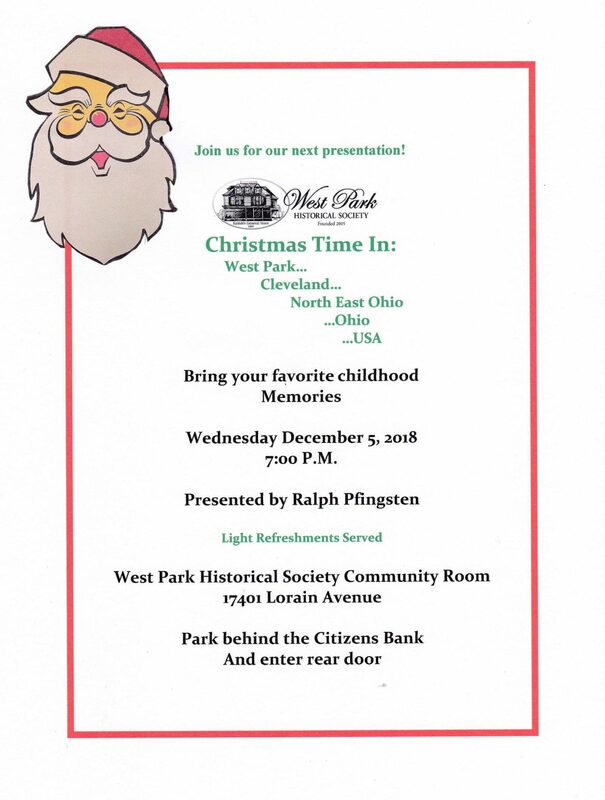 You’ll get your wish when we tell you at this next West Park Historical Society event,***Christmas Time***! That same Santa image will be for sale, suitable for display! Our 2019 Calendar, featuring the Tyler estate will also be available for purchase, along with all of our other publications. Every one of them make great holiday gifts! Please join the West Park Historical Society at 17401 Lorain Ave. This free event will feature a slide show and book signing by Mr. Krejci. You’ll have the chance to peruse our numerous historical West Park photos that line the walls, a special corner dedicated to Puritas Springs Park and a wall-sized map of West Park. Our facility is available for rent on weekday evenings and weekends. Consider it for your next gathering. Suitable for that family gathering that you felt you never had space for, host a craft show, any type of party, or even a meeting. We will be on hand to give you the details. We all enjoy the great outdoors. But few know the history that surrounds us. 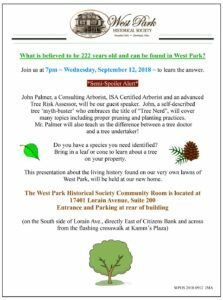 Join us at 17401 Lorain Ave. on September 12th at 7p to learn methods to take care of our natural history and preserve it for generations to come!